A mother's reflections and suggestions. Of course, my revelation was hardly profound. The edict of raising menschlich [mensch-like] children is interwoven throughout the Torah and Talmudic thought. It’s just that, caught up in the stresses of 21st century family life, it’s easy to lose sight of the long-term goals we hold for our children that transcend diplomas and graduate degrees. By working to instill the following fundamental Jewish principles in our kids (adapted from Jewish Every Day: The Complete Handbook for Early Childhood Teachers by Maxine Handelman), we can help ensure that one day–underneath their spacesuits, Oscar gowns or doctors scrubs–our children embody the very values and menschlekeit [the quality of being a mensch] that have kept our people growing strong for generations. This fundamental Jewish value implies a basic responsibility to do justice (tzedek) by sharing our resources with the community. 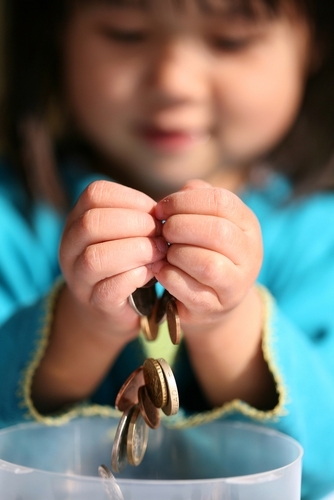 Although it may require gentle nudges to get kids into the philanthropic spirit, e ncouraging them to put a small portion of their allowance in the pushke [tzedakah box] on Shabbat or donating a few gently-used toys to the needy at Hanukkah promises to pay off over time. This mitzvah reflects the reciprocal relationship which God established with human beings: it is our obligation to take care of the earth, and in turn, it takes care of us. Picking up trash at the playground, planting and watering flowers, and helping to care for household pets, all build a sense of environmental menschlekeit in kids. It’s no coincidence that the Modeh Ani–a proclamation of gratitude–is one of the first prayers a Jewish child learns and the first prayer we say each morning; gratefulness is a fundamental Jewish value. True gratitude, however, encompasses more than obligatory thanks; it entails hakarat hatov, or recognition of the good [another has done you]. By making comments like “Hannah is such a good friend to save you a seat at lunchtime” or “it was so kind of Grandpa to help build your model airplane,” we help our children recognize and appreciate the intangible gifts bestowed upon them by others. In the Jewish religion doing good deeds is not just a nice thing to do–it is what we do. Children may exhibit lovingkindness by sharing toys, cheering on a friend at little league, or inviting a lonely classmate to join the four-square game at recess. We can encourage gemilut hasadim in our kids by setting a climate of helpfulness at home, praising unsolicited lovingkindness on our child’s part, and, of course, modeling such behavior ourselves. Menschlekeit isn’t just about sweetness and light; it’s also about owning up to our transgressions. By consistently requiring our kids to say “I’m sorry” when they’ve wronged someone (even if their apology seems a tad less than genuine), we help ensure that one day, when our children are more cognitively prepared to understand the importance and meaning of these two words, they use them consistently and autonomously.